Safety is the first priority on any well managed worksite. Unsafe scaffolding has been on OSHA’s top ten list of violations for nearly a decade. By its very nature scaffolding can be very dangerous. Técnico’s scaffolding division puts safety first on every job they execute. It’s about experience and it’s also about a deep respect for the safety of the workforce. Técnico’s scaffolding team has both. We are committed to providing superior service at affordable rates.  To discover what Empire and Técnico can do for you, please contact Bill Harbison at: BHarbison@TecnicoCorp.com.